The best way to tackle trauma is to get the survivor to viscerally experience and know that that was then, and this is now; they are safe. To do this, the survivor needs to be able to deal with their trauma in a way that doesn’t overwhelm them. 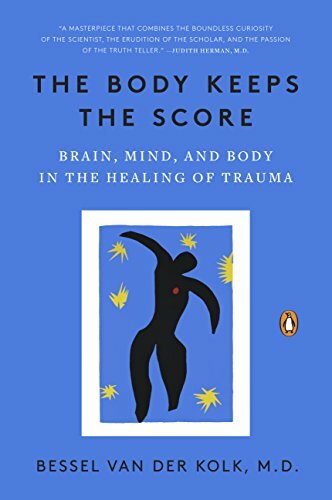 The author describes the process of trauma in great detail, and suggest severalcutting edge therapies that may help. The author explains in great detail how and why these methods work. I highly recommend this book for anyone interested in feeling better in their bodies. After reading it, I’ve begun doing much more yoga, and am becoming aware that I have great stores of sadness trapped in my tissues.